chapter 6 : The fall of the Arima Clan and the crackdown on Christianity | Light and Shadow: Christian History, Resurrected. Hidden Christian Sites in the Nagasaki Region. With a victory at the Battle of Okitanawate and the subsequent division of territories in Kyushu, Harunobu Arima, awarded the position of daimyo in the Shimabara Peninsula gained stability and reached the peak of its prosperity. After the death of Hideyoshi Toyotomi, however, during the reign of Ieyasu Tokugawa, there was an incident in which Harunobu sank a Portuguese ship at the direction of Ieyasu, causing his relationship with the Society of Jesus to deteriorate. Ieyasu sang Harunobu’s praises, but when the Daihachi Okamoto Incident (a plot to restore the old fiefdoms) was discovered, Harunobu was exiled to the Kai Province, and later decapitated. After that, Shimabara Peninsula was temporarily governed by Shigemasa Matsukura. He started building Shimabara Castle to replace Hinoe Castle, and this burdened the citizens with a huge amount of tax and labor. There was also an order from the bakufu (Japan’s feudal government or shogunate) to crack down on Christianity, which would lead to subsequent tragedy. Applying the art of castle construction which he had learned during the Korean Invasion, Harunobu started building Hara Castle and it took about five years. Taking advantage of the location on a bluff surrounded by the ocean on three sides, a tremendously sturdy and beautiful castle was finally built. From the Edo Period, in addition to Nanban trading, Red Seal Ship trading (trading by ships with a shogunal license for foreign trade) began and he gained much more wealth. Furthermore, his son, Naozumi, was married to a great-granddaughter of Ieyasu Tokugawa, and from all of these advantages, Arima’s territory became stable and prosperous. However, in 1608, an incident occurred. Harunobu’s Red Seal Ship and a Portuguese ship had a battle in Macao, and many Japanese were injured or killed. Harunobu asked Ieyasu for permission to retaliate and he attacked and sank a Portuguese ship outside the harbor of Nagasaki. As a result, the relationship between the Society of Jesus and the Namban trade, which had been a close one, deteriorated. Even worse, this matter developed into a major catastrophe through which Harunobu would bring ruin upon himself. After hearing about the successful retaliation against a Portuguese ship, Ieyasu Tokugawa praised Harunobu. However, a bakufu superintendent officer, Daihachi Okamoto took advantage of Harunobu’s situation. He told Harunobu, “As a reward for this attack, I will see to it that you get back the land that was once the Arima Clan’s.” Harunobu desperately wanted to get back the territory he had lost in the war against the Ryuzoji Clan, and for this reason, he believed Daihachi. He asked Harunobu for money and also gave him a fake red seal license, leading himself to yet another breach of trust. When Ieyasu heard about this, Daihachi Okamoto was captured and burned alive at the stake. Harunobu was condemned for trying to get his former territory back, and was exiled to the Kai Province (Yamanashi Prefecture). Later on, Harunobu was given the death penalty; however, because suicide was forbidden in Christianity, he refused to commit seppuku (suicide by disembowelment). Instead, he made his retainer decapitate him while his wife and family watched. He kept his faith until the very end. It was 1612 when Harunobu’s life of 45 years came to a close. Through this incident, Ieyasu felt how perilous Christianity was, and it resulted in promulgation of “Keicho-no-Kinkyorei”, a strict prohibition order against Christianity. Christian mission work had already been under a ban, but the bakufu had never directly persecuted believers. However, the new order pressured not only the samurai but also the common people to conversion. It was so strict that punishment was given to those who refused. The son of Harunobu, Naozumi Arima, was a retainer of Ieyasu. Therefore, even though his father was given the death penalty, he was still allowed to succeed his father as the head of the family as well as inherit his territory. Soon after the succession, he turned away from Christianity and making a complete reversal, started to persecute Christians. He expelled missionaries and ordered the destruction of churches. The common people were also pressured to renounce their religious beliefs, however, there was a deeply-rooted Christian organization called Confraria with a presence in each region, which made it difficult for him to expel Christianity. He was worried that the bakufu might become skeptical of him, and therefore Naozumi was unrelenting in his persecution of Christians. He even killed his half brothers who were the children of his father and his second wife. However, his conscience was bothered by his actions, and eventually he could no longer stand his situation. Naozumi asked the bakufu for a transfer, and in 1614, he was placed in Nobeoka, Hyuga (Miyazaki Prefecture). At this time, many of his retainers left their positions as samurai and decided to stay and become farmers. 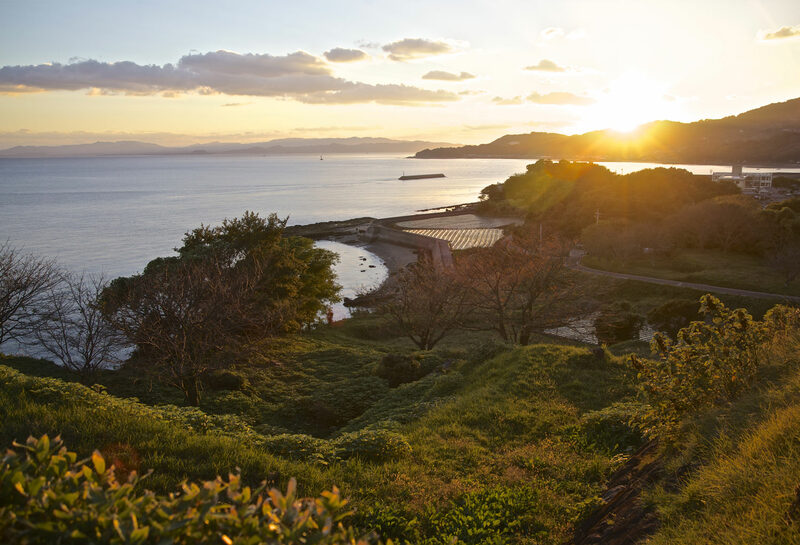 They didn’t renounce their faith; they chose to stay on the Shimabara Peninsula. 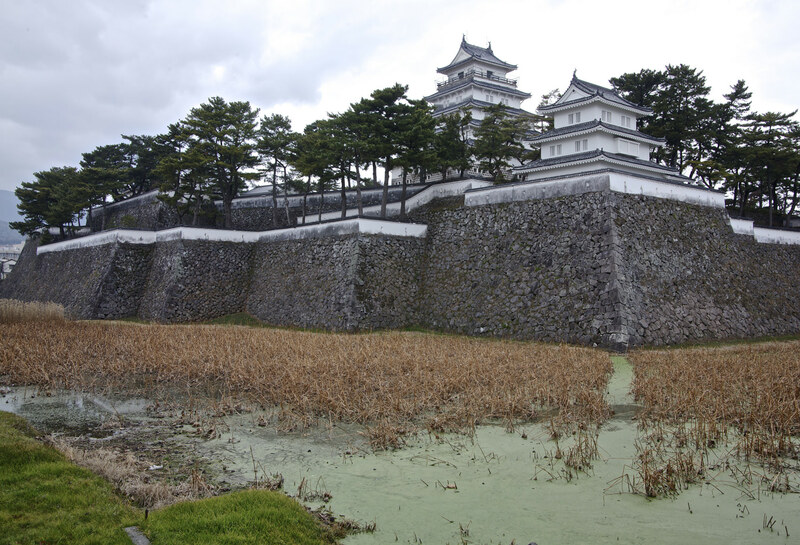 After Naozumi’s forced relocation, the Arima territory fell under the direct control of the shogunate, but in 1616 Daimyo Shigemasa Matsukura, of the Yamato-Gojo in Nara, took over Hinoe Castle. He is a person whom the missionaries would later call “Devil”. 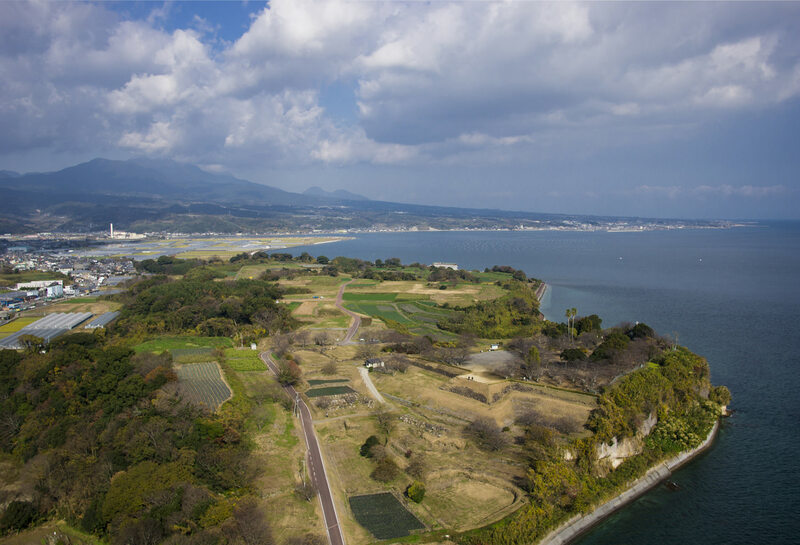 In 1618, began construction on a new base of operations, Shimabara Castle, which required that he take down Hinoe Castle, as per the order of Ikkoku–Ichijo–Rei (one castle in one feudal lord’s domain). It took seven years to finish making it a lavish and ostentatious castle, one that would have been appropriate for a higher ranking daimyo. At the same time, he was also offering his subjects as a workforce for the renovation of Edo Castle, to show his loyalty for the shogunate. All of this construction placed a huge financial and physical burden on the local citizens, and Shigemasa Matsukura sunk the Shimabara Peninsula into a dark and difficult period. In 1620, two missionaries who tried to sneak into Japan were found in a Red Seal Ship. The bakufu’s distrust of Christians intensified and even more persecution began. In response to this, Shigemasa Matsukura began to persecute Christians within his territory. Nonetheless, Iemitsu Tokugawa rebuked Shigemasa for his lenient operations, which led to his violent crackdown on Christians. The torture was so brutal that many Christians who wouldn’t renounce their religious beliefs got their fingers cut off or were branded. 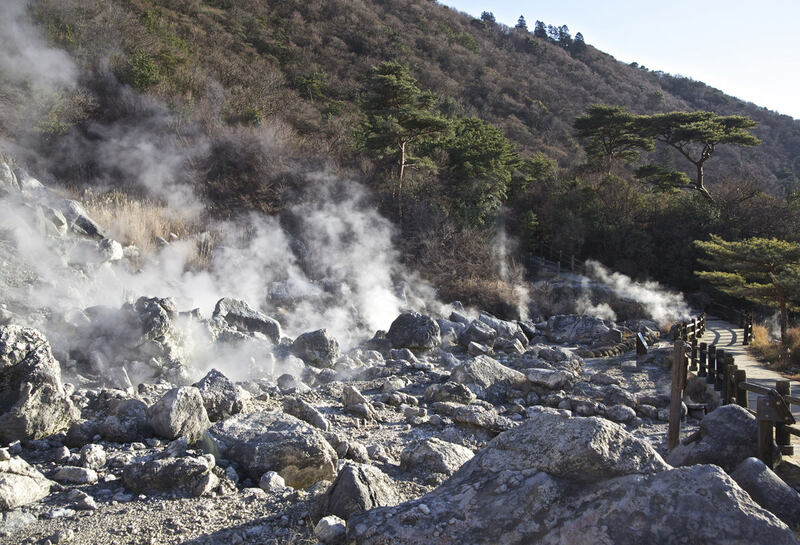 In the records of the head of the Dutch Factory, it was written that Shigemasa used the boiling water from Unzen Jigoku Hot Springs to torture and execute Christians, as well as farmers who couldn’t pay their land tax. Shigemasa followed the shogunate’s orders to intensify the oppression of forbidden religions but in 1630, he suddenly died in an Obama Hot Spring bath. The cause of death was unclear, and it was rumored by some Christians that God’s punishment had come down on him. Shigemasa’s son, Katsuie Matsukura, succeeded his father and continued his ruling practices. 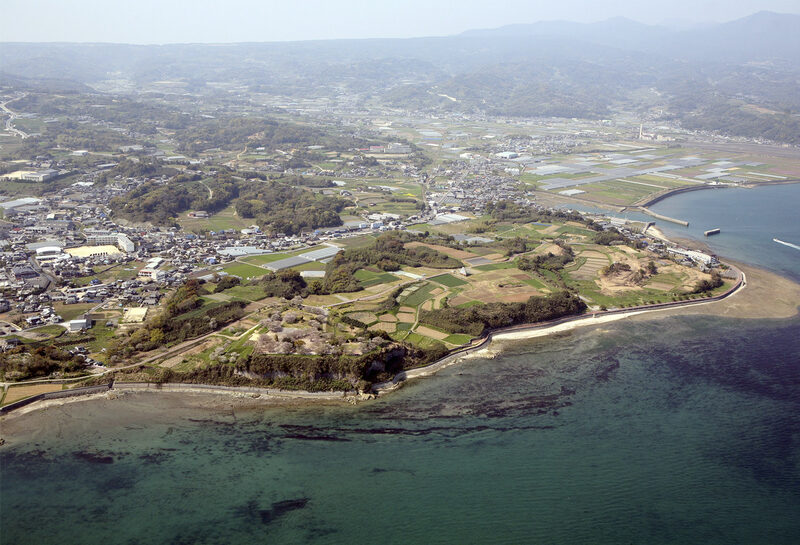 During Katsuie’s tenure, the Shimabara Peninsula was stricken by famine and natural disasters. Some of the former Arima Clan retainers, who had become farmers, began to return to Christianity, and to look for an opportunity to rise up in rebellion.